A new idea, from 101 years ago. In 2018, a new farmer’s market opened in Kingston. The Library’s usually there; check us out! It’s a great new venture with some interesting echos of the past. 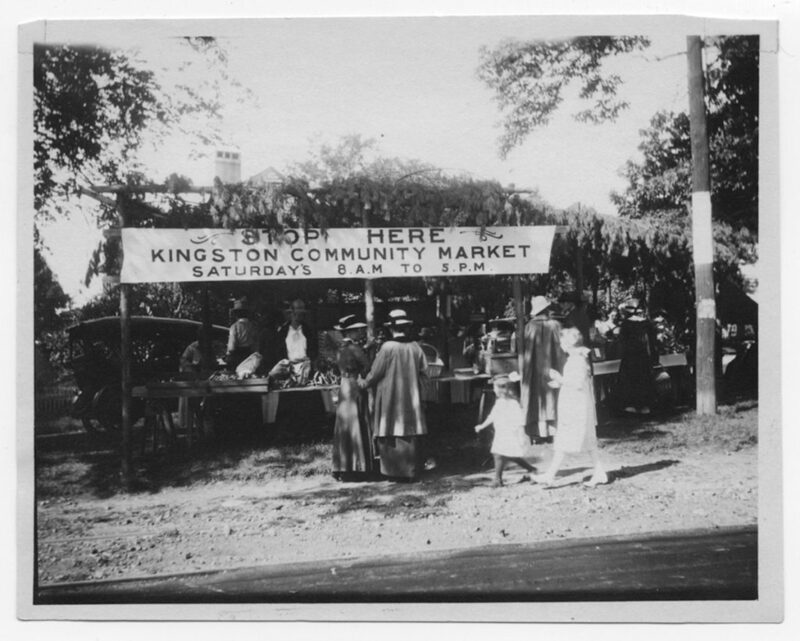 In 1917, Kingston also had a new community market, this one located at the Point, right where Summer Street splits from Main. The Old Colony Memorial on July 13 that year invited anyone with surplus food to join in. Part of the national effort to increase local food production as the nation entered the First World War, Kingston’s market was sponsored by the Grange, the Patriotic Society and the Food Production Committee of the Public Safety Commission. There was no charge for selling: vendors just had to show up with their wares.